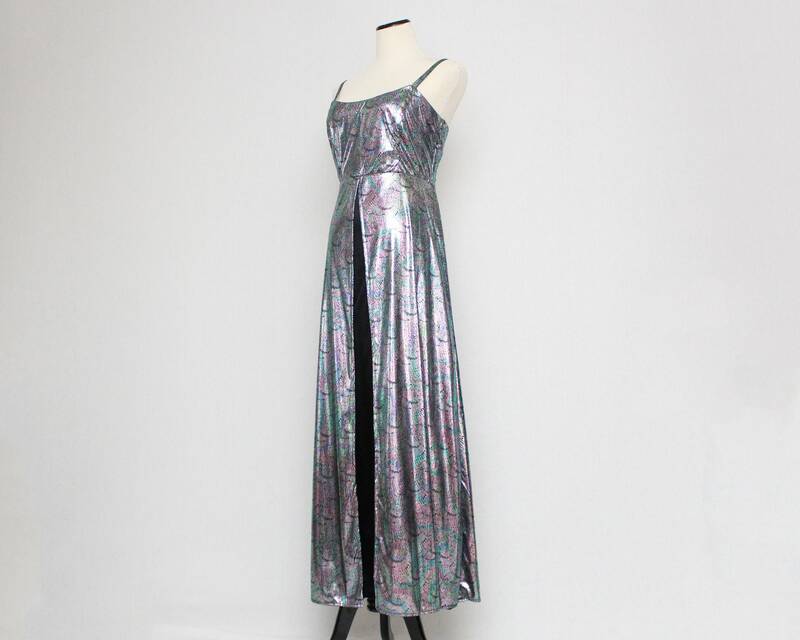 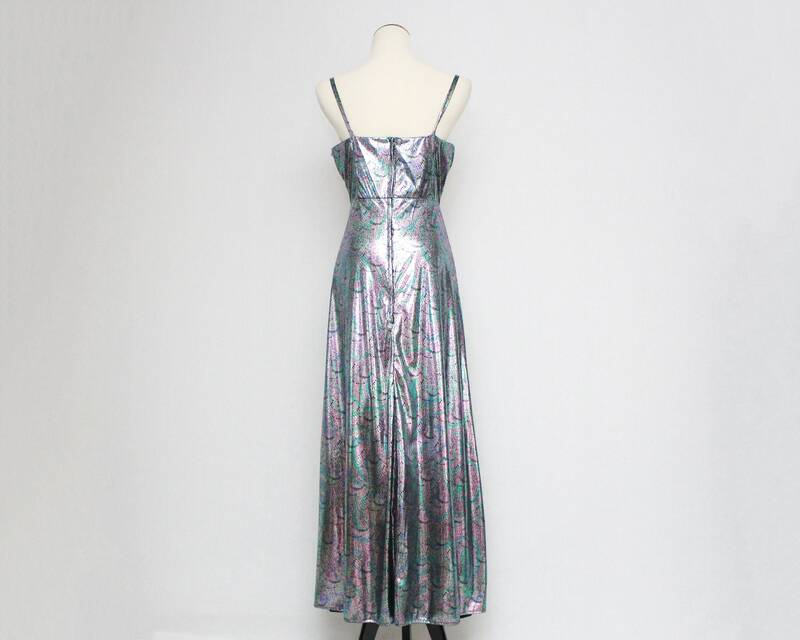 A funky 90s gown in liquid metallic fabric. 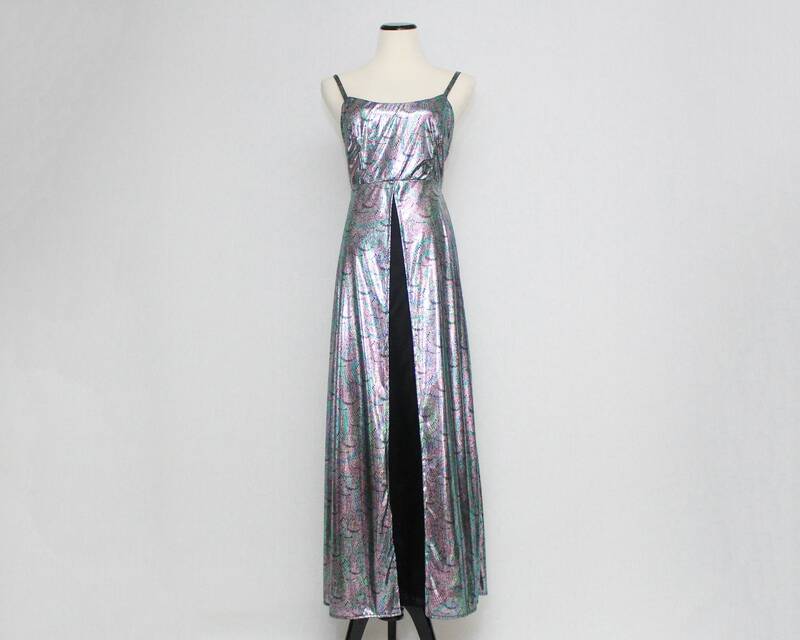 The fabric has a silver undertone but has an iridescence to the metallic as well as an intricate pattern. 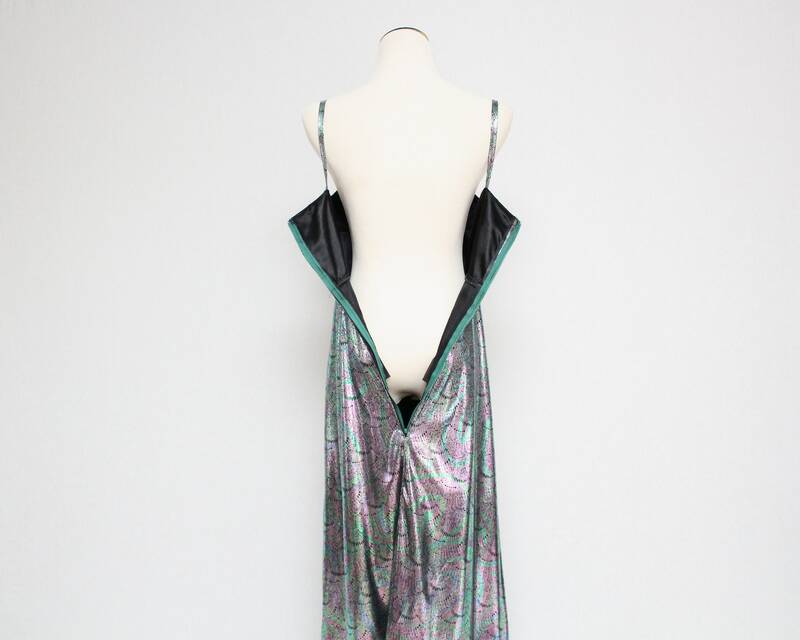 The dress is broken up by a split in the shell of the dress revealing a simple black skirt. 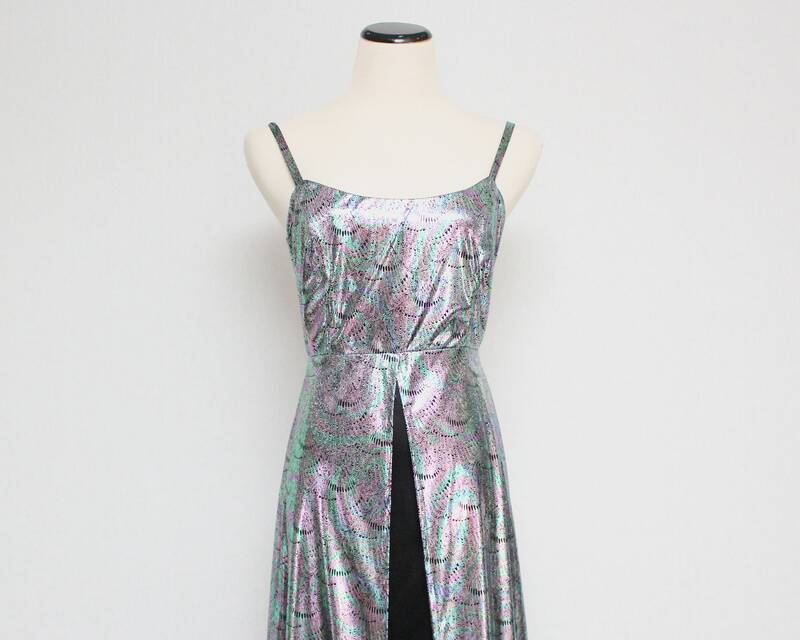 Spaghetti straps and zips at the back. 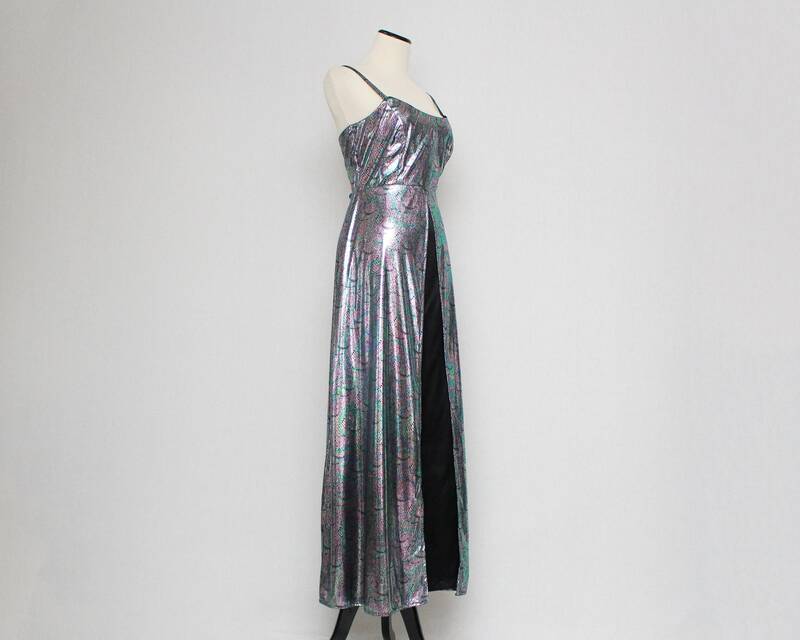 Excellent condition, the only noted flaw is that the silver "sheds" a little on the hands when handled and on darker fabric it comes into contact with.